VATICAN CITY (CNS) — In an effort to ensure greater financial transparency and accountability, Pope Francis approved new regulations governing the financial contributions given for sainthood causes, the Vatican announced. The new “norms on the administration of goods of the causes of beatification and canonization” states that because of the complexity of the sainthood process, the causes incur substantial costs, including for diocesan-level investigations, work carried out by the Vatican Congregation for Saints’ Causes and the beatification or canonization ceremonies themselves. In his book “Merchants in the Temple,” Gianluigi Nuzzi claimed the Congregation for Saints’ Causes was among the most reluctant Vatican offices to cooperate with the papally appointed commission and needed immediate action to promote transparency and honesty. He also claimed that “to simply open a cause for beatification costs 50,000 euros, supplemented by the 15,000 euros in actual operating costs,” including compensation for theologians, physicians and bishops examining the cause. That amount, he said, “skyrockets” with the costs of researchers, postulators and the drafting a candidate’s biography attesting to their holiness. The average cost of a sainthood cause, Nuzzi claimed, was about 500,000 euros or $550,000. 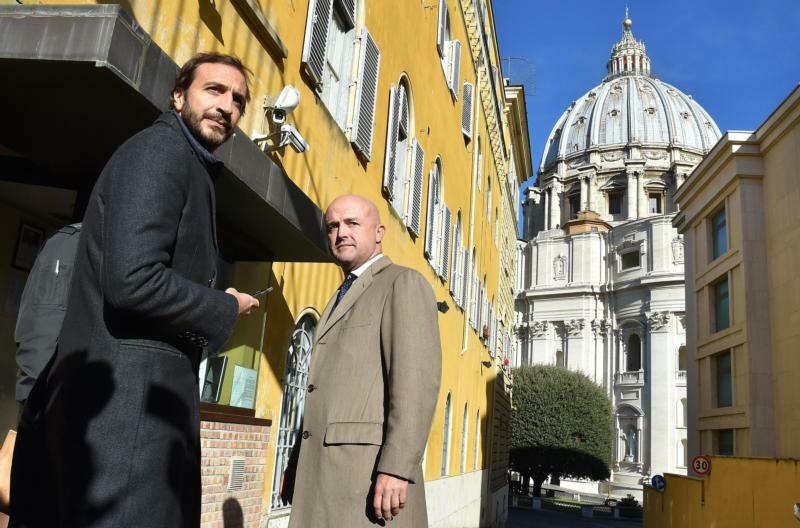 Nuzzi, along with Italian journalist Emiliano Fittipaldi, author of “Avarice,” is on trial at the Vatican for his involvement in allegedly obtaining and publishing confidential documents. The new regulations issued by the Vatican detail procedures for handling contributions received and specifies which authorities are charged with overseeing the flow of money for a sainthood cause. While the postulator or promoter of a sainthood cause can continue to administer the funds for each cause, the bishop of the diocese or the superior general of the religious order that initiates the cause or another church authority must review financial statements and approve the budgets for each cause. St. John Paul II in 1983 called for a general oversight of the funds and he established a “Solidarity Fund” at the congregation to collect funds to help pay for causes from countries where Catholics may not have the financial resources needed to carry out all the research. The new rules reaffirm the existence and importance of the fund and stipulate that it is up to the congregation to determine if any excess funds from a completed cause will go to the fund or to other uses. “In cases in which there are real difficulties to sustain the cost of a cause in the Roman phase, the promoters may ask the Congregation for Saints’ Causes for a contribution through the local bishop,” the regulations state. Overall supervision of finances, however, lies with the Congregation for Saints’ Causes. “In case of failure or administrative-financial abuses by those participating in the development of the cause, the Congregation for Saints’ Causes will take disciplinary action,” the document says. The new norms, which were signed by the congregation’s head, Cardinal Angelo Amato, were approved for a three-year trial period.